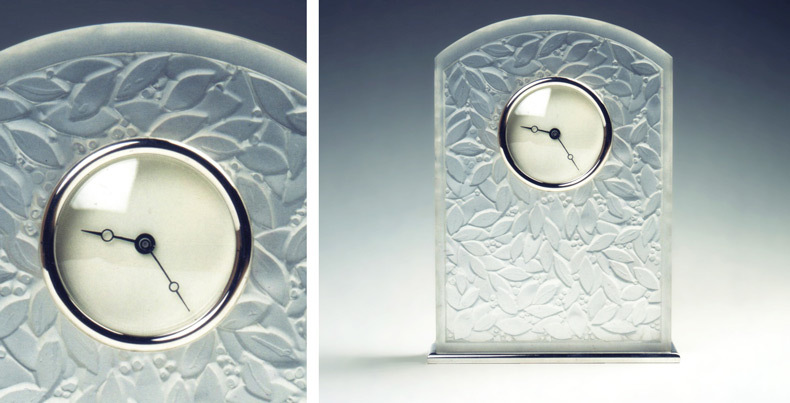 Frosted lead crystal with silver enamelled dial and slate base. Special commission. Approx. height 45 cm. back to top. 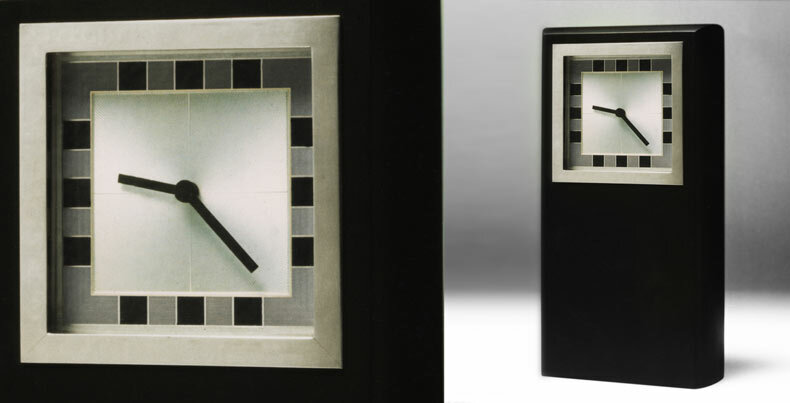 Slate clock with an 18ct yellow gold dial enamelled by Jane Short. Slate clock. 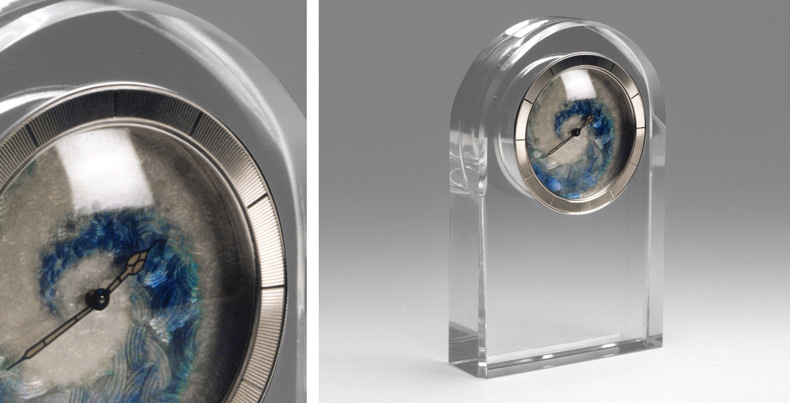 Engine turned and enamelled silver dial. 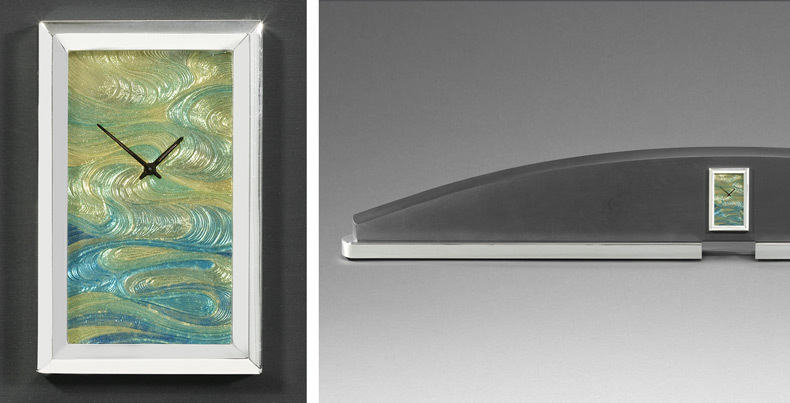 Silver with enamelling by Jane Short. Special commission by The Silver Trust for Number Ten Downing Street. 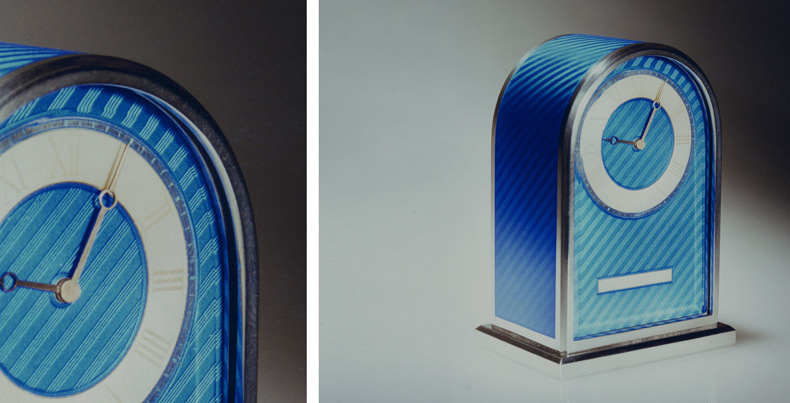 Engine turned silver with an electric blue enamel. L’Epee seven-day mechanical movement. 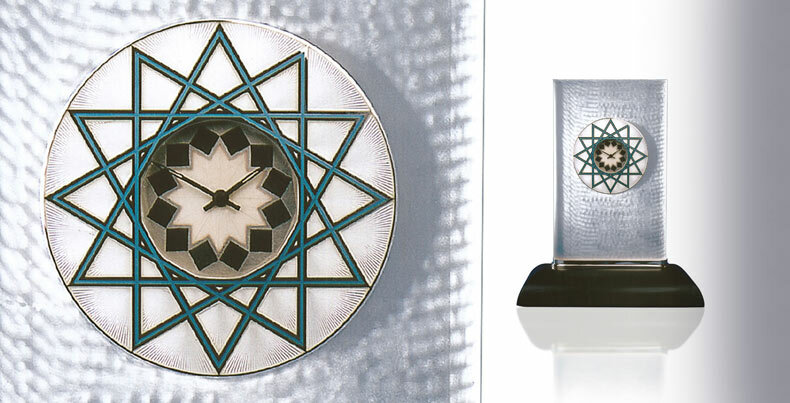 Crystal clock with enamelled spiral design silver dial. Frosted crystal with a leaf motif design. Engine turned and enamelled silver dial. 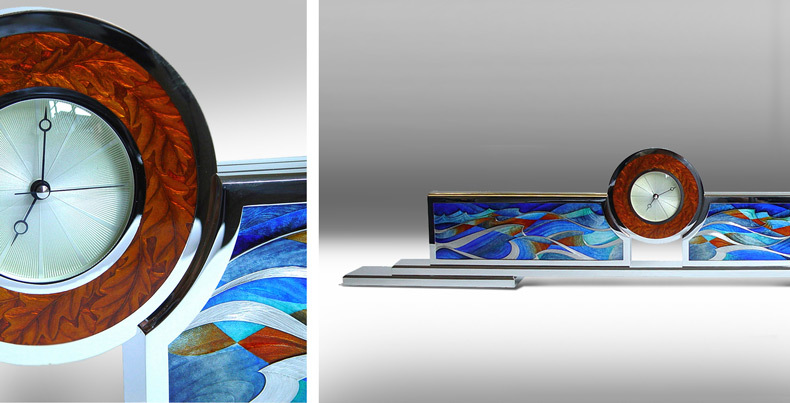 Silver arch with engine turned lines and cloisonné enamel. 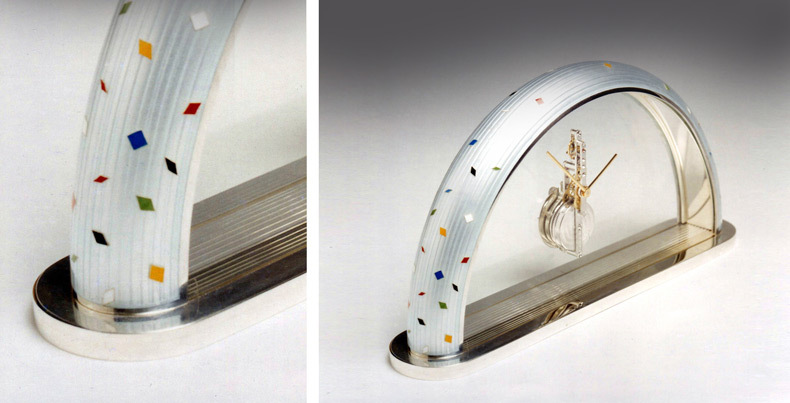 Movement suspended between two panels of glass. Silver base. Jaeger Le Coultre seven day baton movement.